And we’re back! I enjoyed this episode and Aeris wished it was another hour long. 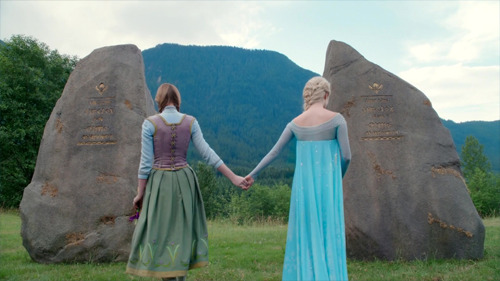 She loved Elsa and I loved Anna, just like when we watch Frozen itself, and we were happy with our Storybrookers, even Rumple – which is CRAZY TALK – and especially Regina and Emma. I only had one real complaint: so many deliberately manipulative fake outs. 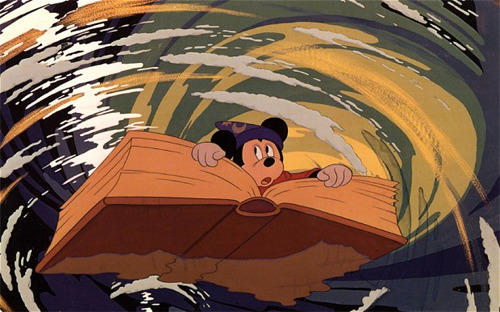 From the beginning Once Upon a Time has told the story with flashbacks and revelations and that lends itself to twists and turns and fake outs. Normally I don’t mind because it’s a conceit of the show and it works. But the fake outs in the episode were absurd and annoying and only there to be fake outs and manipulate the audience and I refuse to recap the episode that way (you’re welcome). 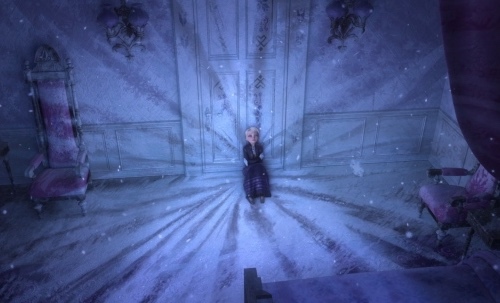 So, in the past in Arendelle: First we check in with Elsa and Anna’s awful parents just before they (probably) die in that storm that happens in the middle of “Do You Wanna Build a Snowman?” Mom wants her children to know the truth so she writes it down, puts it in a bottle and throws it overboard. 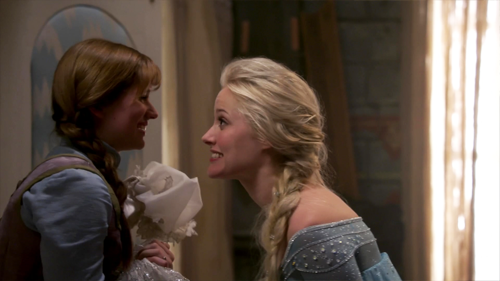 – and then Elsa surprises Anna with her mother’s wedding dress and a snowflake necklace because I guess she’s marrying Kristoff the next day. And jumps to the the conclusion that they went on their fateful boat trip not as a diplomatic mission to Alderaan OR to see their niece Rapunzel marry Flynn but instead because she was a monster and they were terrified of her. Good to know Elsa’s logic is as logical as everyone else’s on this show. 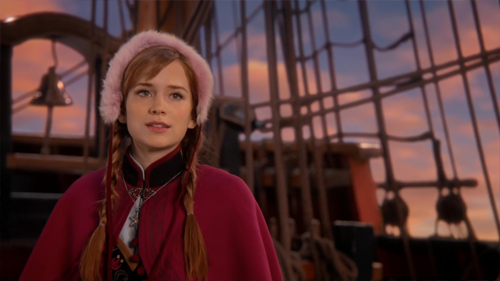 So Anna goes by herself. 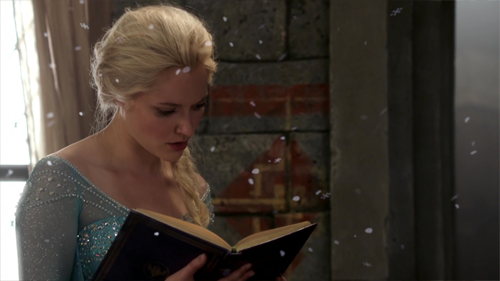 Fake Outs: when Elsa first reads the journal she cries that they are dead because of her and runs away; for some reason we don’t find out Mist Haven is the Enchanted Forest until Anna is on her way. All that happened in the past. In the present, in Storybrooke, Elsa appears, walks imperiously around, gets scared, creates a snow monster, and heads to Mr. Gold’s shop when a fortuitous newspaper article (who’s writing the paper if Sydney has been in the hospital for two years?) indicates the necklace she gave her sister is there. She doesn’t say a word the entire time. 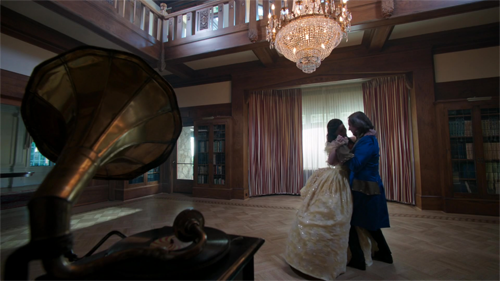 Fake Outs: when Elsa first sees the paper, and Mr. Gold, the necklace is not obvious so I was sure Rumple was connected to Elsa in some way and ugh, but no, they just wanted me to think that (ugh). 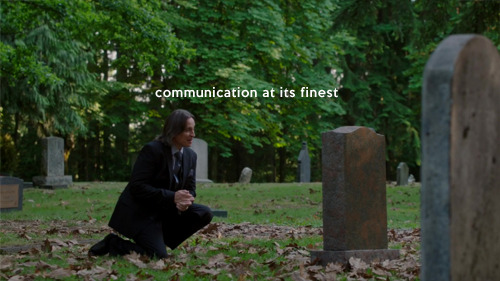 Meanwhile, also in Storybrooke, Rumple and Belle visit Neal’s grave. Rumple: Remember that one time we were happy? Neal: No, because I’m dead. 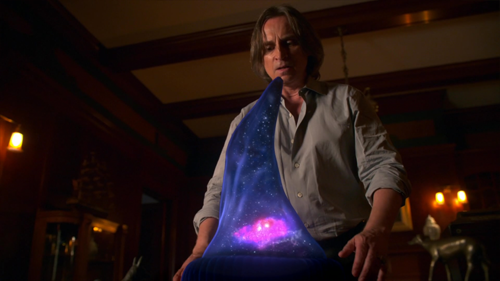 Rumple: And then this dagger took over my life and I lost you forever. Neal: That I remember because: dead. 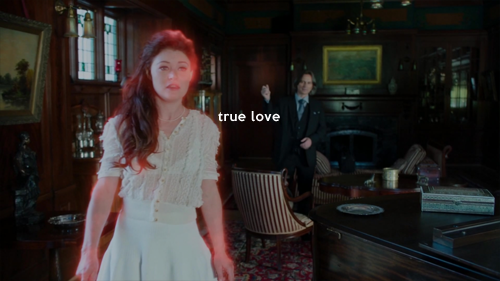 Rumple: But now I have Belle and a new beginning. Neal: Do I have to be here for this? Rumple: Except I’m still lying to her and I feel kinda bad about it. Neal: I can’t be the instrument of your absolution anymore because I AM DEAD. And then they wander into this house that appeared as part of the last curse. And nobody’s claimed it so Belle is like, mine. Which is very Mrs. Gold of her tbh. 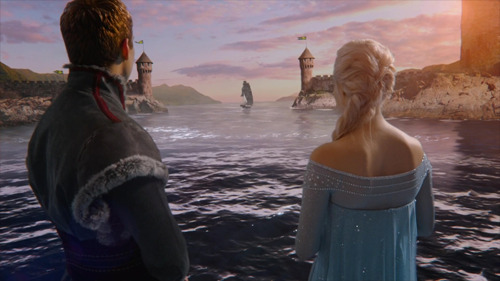 They wander about happily until Rumple finds an opportune moment and freezes her to switch out the fake dagger he gave her for the real one he kept back which would be laudable progress except that a) he kept the fake one and b) HE FREEZED HER. 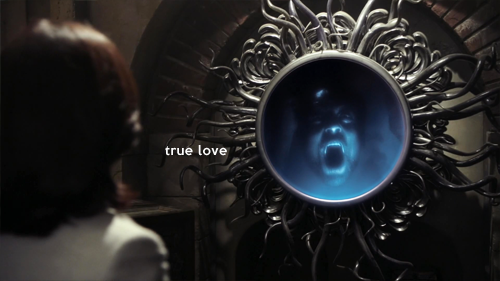 Stop freezing people you love to prove that you love them Rumple/Regina/Cora. And I hate that it worked on me but guh. So perfect. I’m probably in the minority but I am so excited for whatever happens next with THAT. Especially if it involves Nicolas Cage. 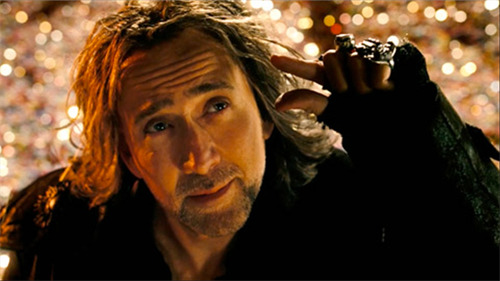 Can you imagine Nicolas Cage on Once Upon a Time? CAN YOU IMAGINE. 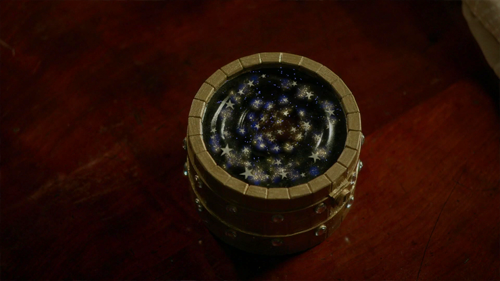 Fake Outs: Rumple recognizes the starlight box before his dance with Belle ….and then activates it at the end of the episode. 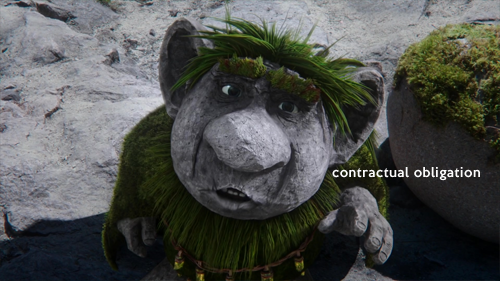 See, these fake outs wouldn’t be so notable/annoying if every single one wasn’t resolved by the end of the episode. Emma: I never MEAN to take away everything you love it just HAPPENS. Robin: Can’t we all just get along? Marian: One of us has tried to kill all the rest of us. Snow: Can’t we all just get along? Marian: Why are you all treating her like a person instead of a monster? Charming: Seasons 1-3 are available on Netflix if you want to catch up. Roland: Why do my parents think it’s okay for me to be here for this? Henry: Welcome to my world, kid. Regina is utterly unimpressed with all it and storms off. 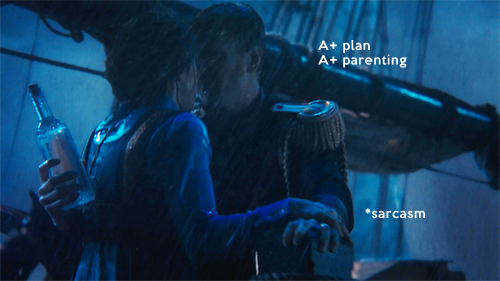 Emma wants to run after but Hook stops her cuz he’s read that fanfiction. For some reason everyone decides to trust Hook’s judgement of Regina’s needs even though leaving her alone to stew has never ever worked out for them. Logic. Emma: I have better things to do. Hook: You’ll always have better things to do, but if you don’t take time for love, what’s the point? 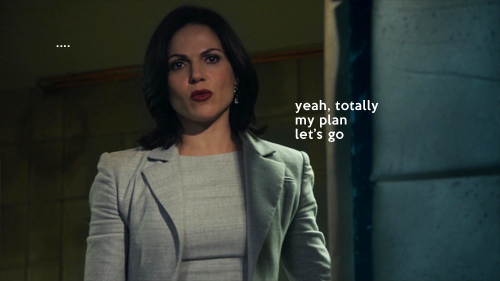 Meanwhile Robin heads over to Regina’s house to crush her heart (figuratively). 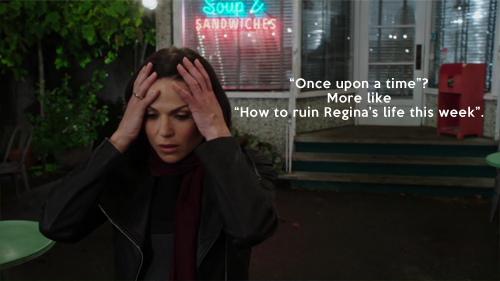 Regina: Everything Marian said is true. I’m a monster. Robin: She doesn’t know you the way I know you. Regina: Maybe you don’t really know me at all. Robin: I know you better than you know yourself. And I love you. Robin: Really. If I wasn’t still married to my not-dead wife, I would love your forever. Robin: I have a code. 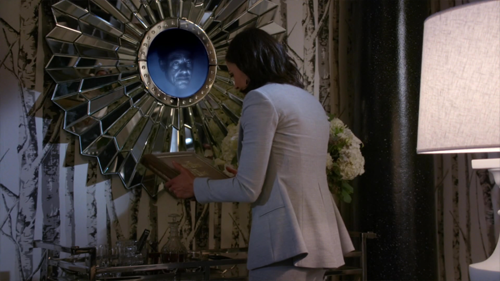 He leaves and Regina’s feelings of despair break her mirror which reminds her that her bestie is re-available now that Revolution was cancelled. She saunters down to the underground ward she’d held Belle in way back when and releases Sydney Glass. 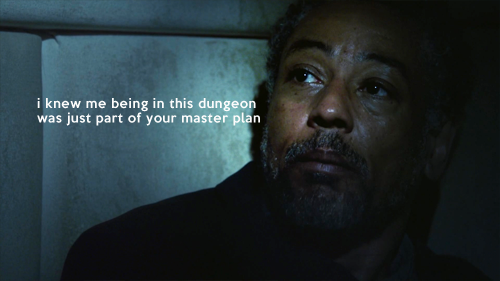 I kinda want a spin off all about the underground ward. Imagine if that was the plot of Wonderland. Excuse me while I go weep about missed opportunities. But back to the Snowmonster. Our fearless crew chase it into the woods. Weapons are useless against it so Emma tries magic but only succeeds in making the monster spiky. 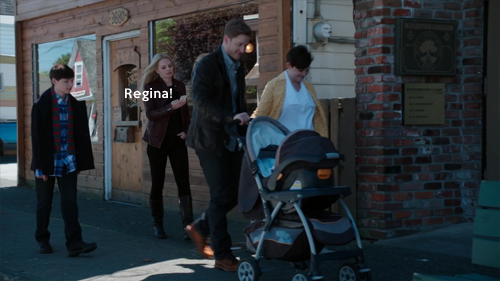 Then everybody but Marian falls unconscious and Regina pops in. 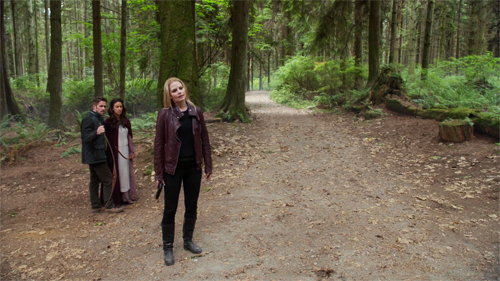 Marian and Regina both realize that allowing the snow-baddie to murder Marian is Regina’s easiest road to alleged happiness. 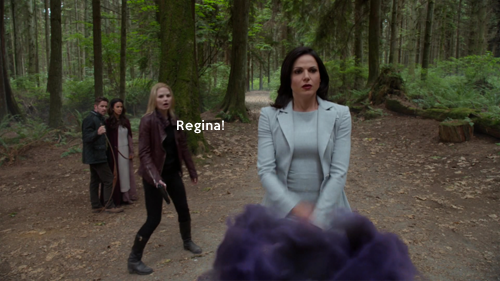 But instead Regina explodes the snowmonster. Marian: Maybe you’re not a monster. 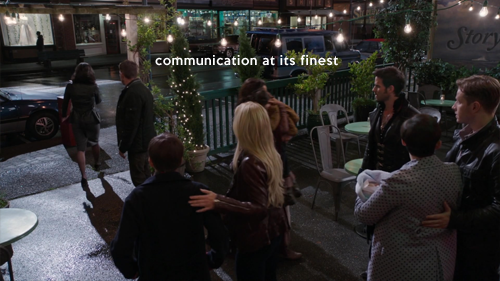 Emma: Yeah, okay, but I have to go talk to Regina. Then we get my favorite part of the episode. 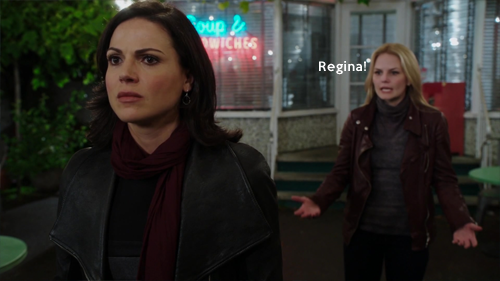 Emma: Regina, please I know you’re in there. People are asking where you’ve been. They say, “Have courage,” and I’m trying to. I’m right out here for you. Just let me in. I. Love. This. Yes, it’s another gimmick. And it can maybe be seen as an attempt to recast their chemistry/energy as familial. But I love this scene so much. Emma’s actual dialogue is a promise to stick around acting the hero until everyone, and explicitly Regina, gets a happy ending. And so Regina decides the only way to really get her happy ending is to find the author of Henry’s book and convince him to rewrite her chapter. 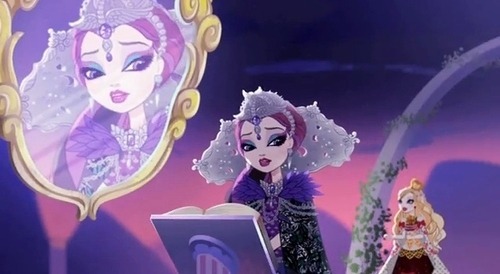 Which is DELIGHTFULLY INSANE and also, basically the plot of Mattel’s Ever After High shorts but whatevs.